Why does X-Men Origins: Wolverine get such a bad rap? Maybe it’s because people were expecting it to be a full-blown origin story of Wolverine (hence the title), but instead what they got was simply a solid action film. It goes out of its way to turn Wolverine into John Rambo and it even follows the story of Rambo: First Blood Part II. I thought long and hard about how to approach this article because basically my point is that X-Men Origins: Wolverine is an underappreciated film that should be judged for what it is, not what it could have been. I’m not saying it’s perfect, but it’s a perfectly decent film. I was going to write this as a Pleasant Surprise article, but in my planning I kept comparing it to Rambo: First Blood Part II, so I figured I would just go ahead and do a Movie Matchup of these two films. They aren’t exact matches, like many of the other films I’ve compared, but they’re close enough to warrant a detailed inspection. Everything Rambo: First Blood Part II does, X-Men Origins: Wolverine does at least twice. The main character is a veteran of at least one war. Toward the start of the film he is found doing manual labor. A military commander offers the main character a way out of prison. The mission the hero is sent on turns out to be highly questionable and manipulative. The military betrays the hero at a critical moment. The hero is helped by a woman. They fall in love, but she is killed shortly after. The hero tells his commanding officer he’s going to come and kill him… and then he doesn’t actually kill him. Now let’s analyze these similarities in greater detail. 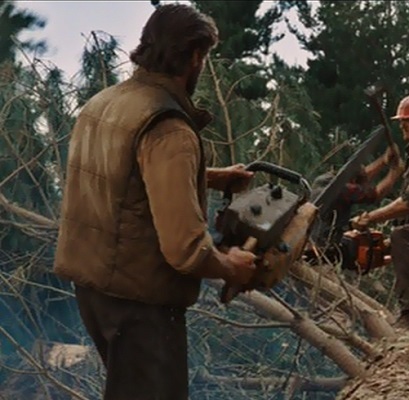 I noticed that every single thing that happens in Rambo: First Blood Part II happens in X-Men Origins: Wolverine more than once. I don’t know if it was a conscious decision on the filmmakers’ part to repeat themselves so often, but it really gets odd after a while. You’ll see what I mean as we progress. The hero fought in at least one war, most notably the Vietnam War. 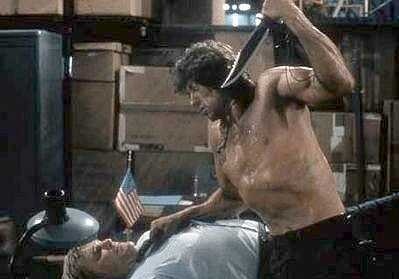 John Rambo is a Vietnam veteran who also took on a small-town sheriff and the National Guard in First Blood. Logan (or James, which was his original name as a child) fought in every major American war from the Civil War to Vietnam. Who says Canadians are pacifists? Early in the film, the hero is found performing manual labor outdoors. Rambo is arrested at the end of the first film after decimating a town. Apparently, his actions don’t warrant the death penalty because at the start of the sequel we find him carrying out his sentence of hard labor at a rock quarry. Logan is thrown in jail for attacking his fellow soldiers and because he can’t be killed by firing squad. Later in the film, we find him working as a lumberjack. A military commander gives the hero a chance to get out of jail and put his unique skills to use. Rambo’s old commanding officer approaches Rambo with a proposition: Join a special unit for a mission and he’ll be released from his prison sentence. Naturally, Rambo agrees. Logan is approached by Major William Stryker after he survives the firing squad, and he’s invited to join a team of mutants rather than live out his days behind bars. He agrees. Six years later, after leaving that team, Logan is approached again by Stryker. This time, it takes a lot more persuasion before he agrees to help Stryker. The hero is asked to perform a morally ambiguous mission. 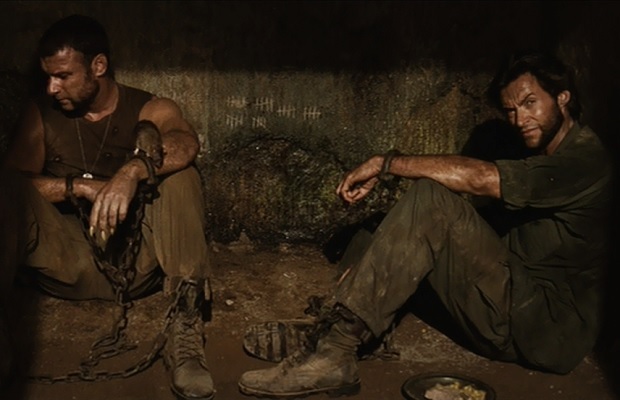 Rambo is told to take pictures of prisoners of war who are still in Vietnam years after the war ended. The military doesn’t tell Rambo the true nature of his mission, though. Logan’s first assignment is to find a compound that is eventually used to form an extremely hard metal known as Adamantium. Later, he is tricked into getting the Adamantium bonded to his skeleton, making him virtually indestructible. In both cases he isn’t told what the military is really interested in until it’s too late. The military swiftly turns on the hero when he starts to question their orders. Rather than just taking pictures of the POWs, Rambo rescues a few of them and brings them to the extraction point. But the military doesn’t want to admit that there really are POWs still in Vietnam, so they strand Rambo in the jungle where he is captured. When Logan figures out that Stryker is willing to kill innocent civilians to get his hands on the Adamantium, he quits the team. But Stryker keeps an eye on him through a woman he falls in love with. After Logan undergoes the Adamantium procedure, Stryker wants to turn him into a blank slate that will only take orders. Logan overhears this plan and he reacts in rage, carving his way to safety before his memory is wiped. The hero falls in love with a mysterious woman who gets killed after helping him. 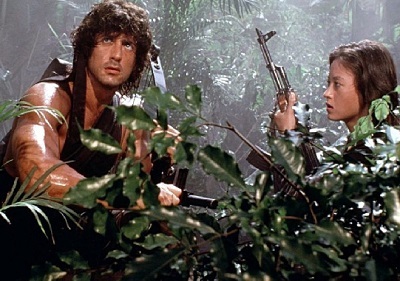 Rambo makes his way into the POW camp with the help of a Vietnamese woman. Once he is captured, she helps him escape and the two begin to have feelings for each other and even share a passionate kiss. However, their love is short-lived because she is shot and dies in his arms. Logan falls in love with a woman and they spend several years together until a fateful day when another mutant named Victor Creed apparently kills her. However, Logan later learns that she is alive and well. But just as they are about to renew their relationship, she gets mortally wounded and dies before he can get her to a hospital. The hero seeks vengeance on his commanding officer, but when the moment of truth comes, the hero lets him live. After being tortured, Rambo is told by his captors to send a message to the U.S. military. However, Rambo disobeys and instead sends the threatening message, “Murdock, I’m coming for you!” After that, he fights his way to freedom and comes within inches of killing Murdock, his commanding officer, but he holds back and then walks off alone into an unknown future. 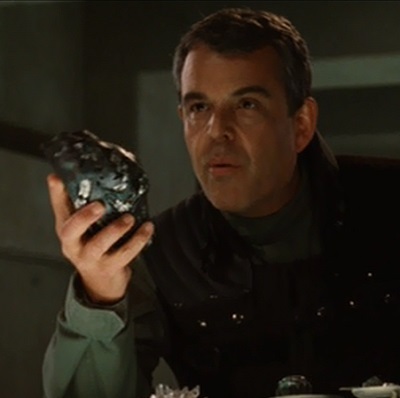 After surviving an attempt on his life, Logan sends a message to Stryker, “After I kill Victor, I’m coming for you.” He then proceeds to leave a trail of destruction in his wake until he confronts Victor and Stryker. He lets Victor live. Then Stryker shoots Logan with some special bullets that take away his memory. Stryker gets away, and Logan walks away, unsure of anything about himself, his past or his future. These films aren’t exactly the same. X-Men Origins: Wolverine has a few twists and turns that make it unique enough to escape being a complete retread of Rambo: First Blood Part II. All the repetition got kind of ridiculous, though. Multiple wars, military propositions, betrayals, lover deaths, and retributions made me start seeing double. But all of those duplicate scenes work in their own way, so I was able to accept them just fine. These are both enjoyable movies, but people wanted a lot more from a movie whose title promised an exploration of the origins of the awesome comic-book character Wolverine. For what it is, though, X-Men Origins: Wolverine is a good movie. Not exceptional, but more than acceptable. ‘Nuff said, bub. This entry was posted in Movie Matchups and tagged action movies, comic books, films, movie review, movies, rambo, romance, sequels, vietnam war, war, wolverine. Bookmark the permalink.